Flybmi fell victim to the “ferociously competitive environment” facing airlines operating in the UK, the head of Airlines UK has said. Tim Alderslade, chief executive of the trade body for UK registered airlines, said the collapse of the regional carrier must also act as a wake-up call for the government. “It should give government – and other parts of the industry who relentlessly champion passenger growth but too frequently neglect the challenges carriers face – pause for thought about the costs they are asking airlines to absorb and to what extent this is sustainable into the future,” said Alderslade. In particular, Alderslade said the collapse of Flybmi must result in a fresh look at the future of Air Passenger Duty (APD). APD is a tax levied on all airlines operating in the UK. It was introduced in 1994 at a flat rate of £5 to UK and EU destinations and £10 elsewhere. However, the charge has increased significantly to between £13 and £78 for Band A destinations (within 2,000 miles) and £78 and £468 for Band B (2,001+ miles). From April 1, the Band B standard rate will increase to £172 and higher rate to £515. “Rates of UK APD are the highest in the world, making it harder for airlines to grow and sustain routes as they battle high fixed costs and wider economic uncertainty,” said Alderslade. “Indeed, the UK was the only country in Europe to see a loss of direct connectivity last year. 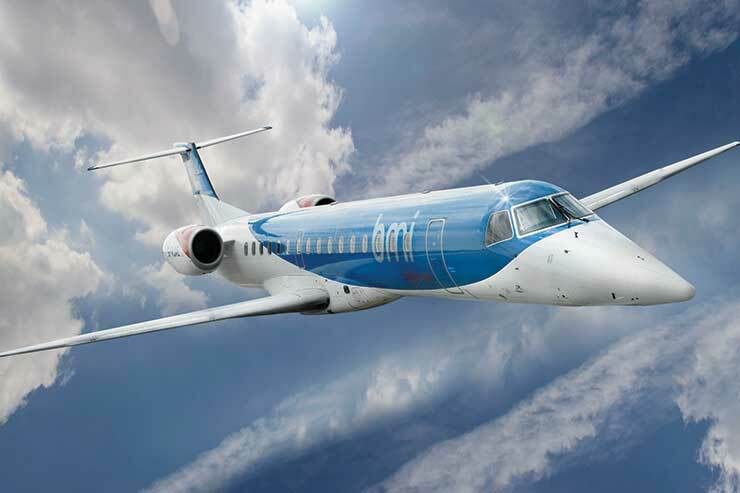 FLybmi collapsed into administration on Saturday (February 16) citing the ongoing uncertainty around Brexit and growing fuel costs. Loganair has stepped in to operate some Flybmi services from Aberdeen airport, while Ryanair and easyJet have announced rescue fares on some routes. Other industry figures, bodies and representatives have reacted to the collapse of Flybmi. Brian Strutton, Balpa general secretary, said: “The collapse of Flybmi is devastating news for all employees. Regrettably, Balpa had no warning or any information from the company at all. A Department for Transport spokesperson said: “It is very disappointing Flybmi has gone into administration and we know this will be a very difficult time for those who have lost their jobs as a result. Which? travel editor Rory Boland added: “This is terrible news for Flybmi passengers, who will be seeking urgent advice on what steps to take. Some customers have claimed that tickets were being sold in the hours before the airline went bust, knowing full well those tickets would never be honoured, and passengers will rightly be outraged if this is proved to be the case. “As all future flights have been cancelled, Flybmi customers should explore their options for refunds. If you purchased your flight as part of a package you should be Atol protected, which means you should get a refund.